Jack McKay is the Executive Director of the Horace Mann League, an organization whose “basic purpose and activities are to strengthen (our) public schools.” Jack has been instrumental in the League since he joined their Board of Directors in 1992 and as the Executive Director since 1994. During his leadership, the League has achieved national respect as a professional association for public education and helped recruit a board of directors of nationally known educational leaders. The League is often referenced in U.S. Supreme Court proceedings, and most recently was a contributing author of the League’s major research publication on international education indicators, called School Performance in Context: The Iceberg Effect. Jack McKay received his Bachelors of Arts degree in history and geography and later his Masters from Central Washington University. He then attended Washington State University where he completed his Ed.D in Educational Administration, Higher Education and Sociology. Jack spent many years working in the Washington public school system as teacher, principal and superintendent. He then became department chair at the University of the Pacific where he was instrumental in developing a joint doctoral program with the California State University system. He was also involved in research on educational opportunities for women in state prisons and desegregation plans for schools in California. 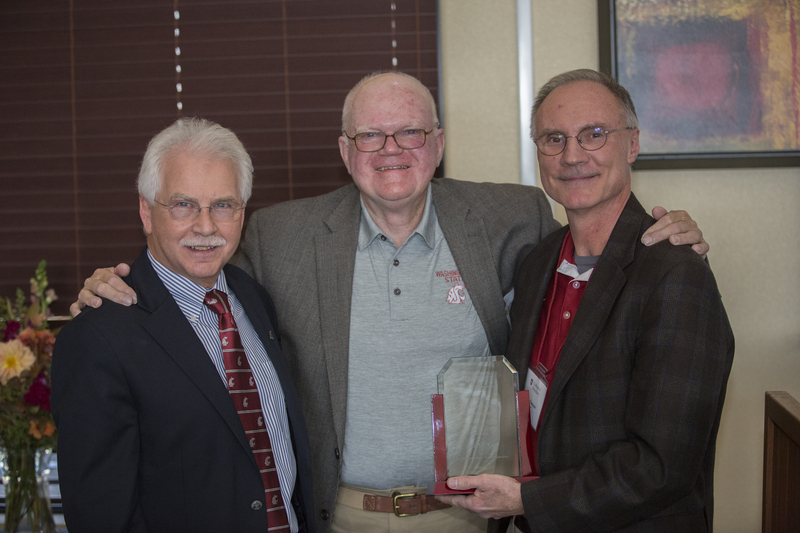 While at the University of Nebraska at Omaha, Jack earned full professor status, received the Roskins’ Endowed Chair and Professor Emeritus. Jack was the leader in seeking final approval of the joint doctoral program with the Lincoln campus, the first joint doctoral degree between the two campuses. He was co-leader and author of the “High School Dropout Index” in collaboration with Phi Delta Kappa, co-editor of the Nebraska Education Journal in collaboration with the Nebraska School Administrators Association, served on the faculty senate and graduate faculty. Jack was also associate and interim dean for the College of Education at Central Washington University and for the past 11 years has been an adjunct professor; teaching research and technology for Heritage University. Jack has spent his career advocating for public education. You see this in the work he has produced through books and manuscripts highlighting education. Jack has also made countless presentations on the subject of education at numerous conferences all the while holding offices for various boards including Washington Association of School Administrators, California Association of Professors of Educational Administration and the Washington Association of Colleges of Teacher Education, just to name a few. More importantly, Jack is part of an education family. His wife, Judy, is a career teacher; their daughter, Karen, is an active parent leader in the Snohomish Public Schools; their son, Kevin is the superintendent in the Zillah School District. Their oldest granddaughter, Jordan, is now in Albania at the International School teaching kindergarten. Their oldest grandson is a junior at WSU in International Business and Sports Medicine. Their other two grandchildren, Brenna and Dane are attending Glacier Peak High School in Snohomish and involved in golf, football and student government.